Personalised to create the perfect gift for a very special person. 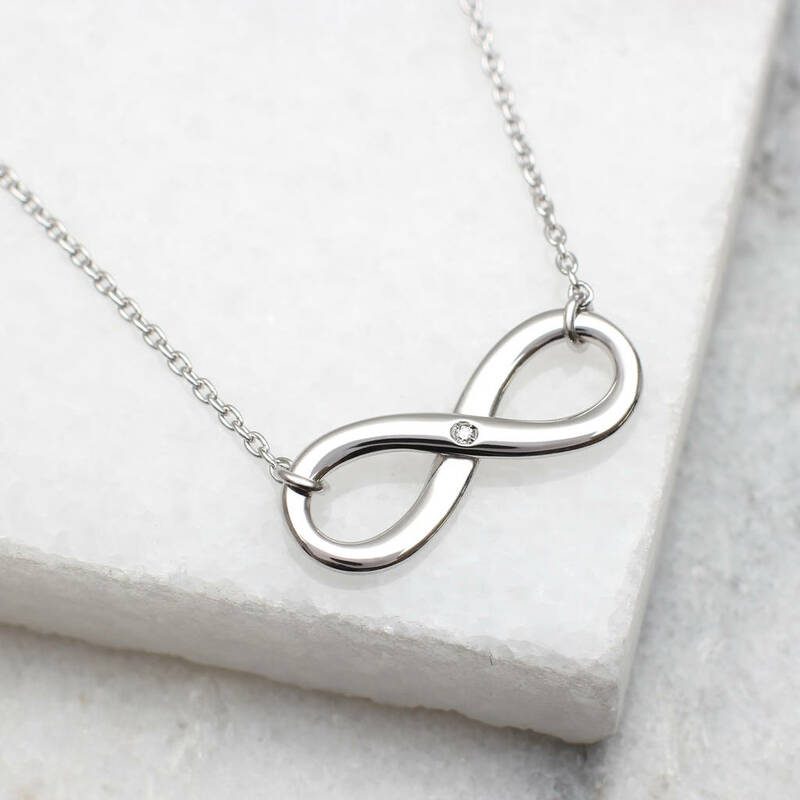 This beautiful infinity necklace is a symbol of true and lasting love, the sparkling diamond makes it extra special. 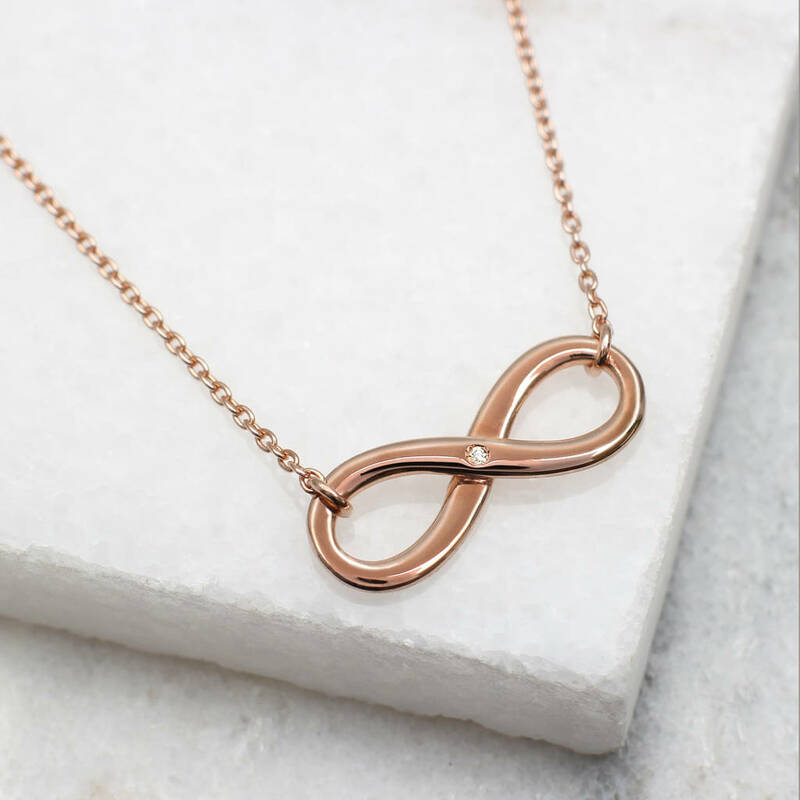 It is modern and stylishly simple, the perfect piece of jewellery to create a very special gift. 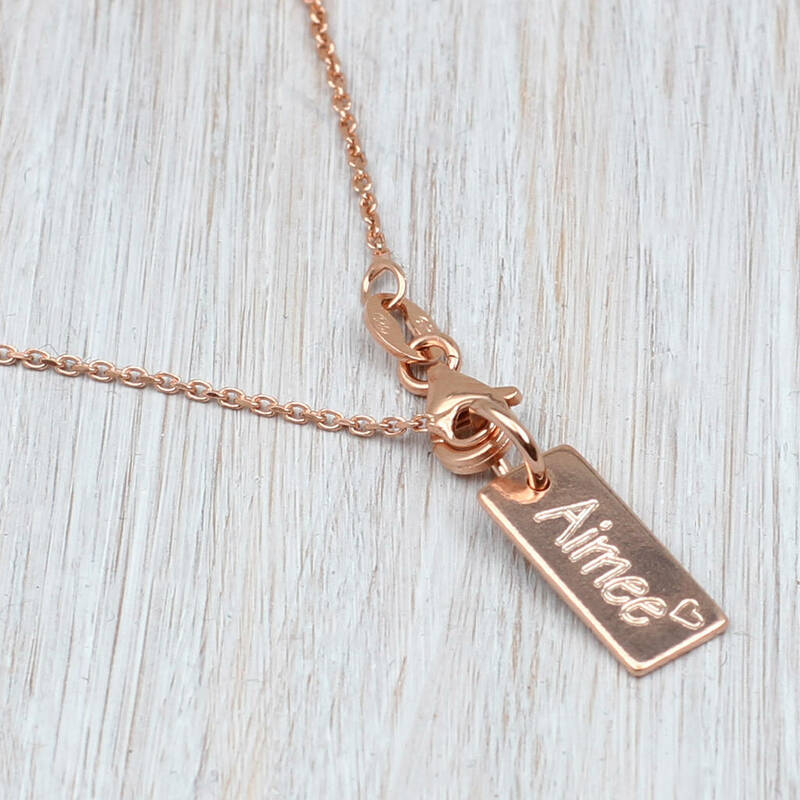 We can add a mini tag to the clasp personalised on both sides with a name, message or date . 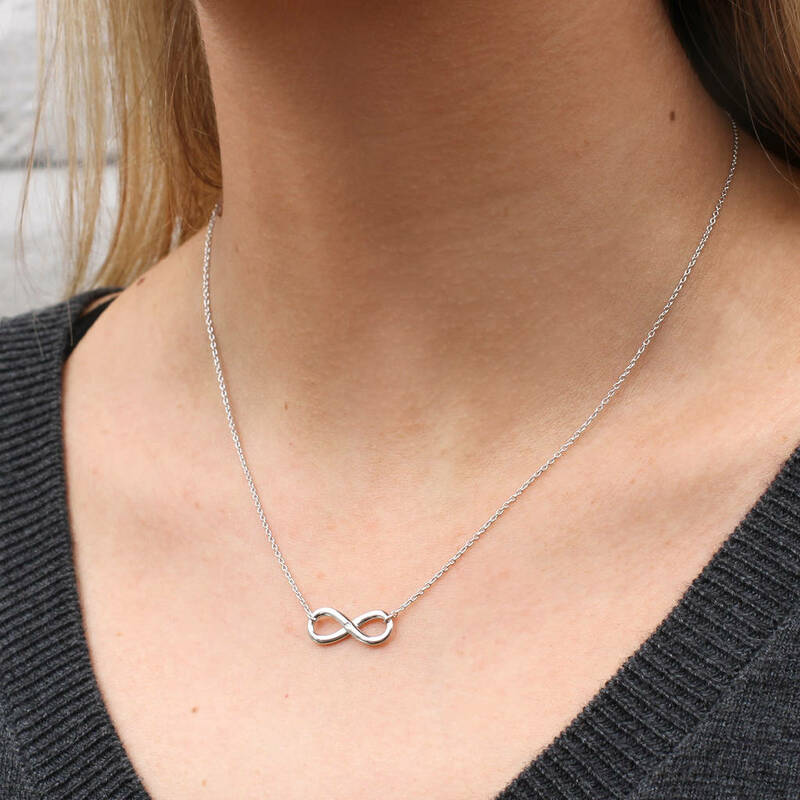 Everyday diamonds at affordable prices. 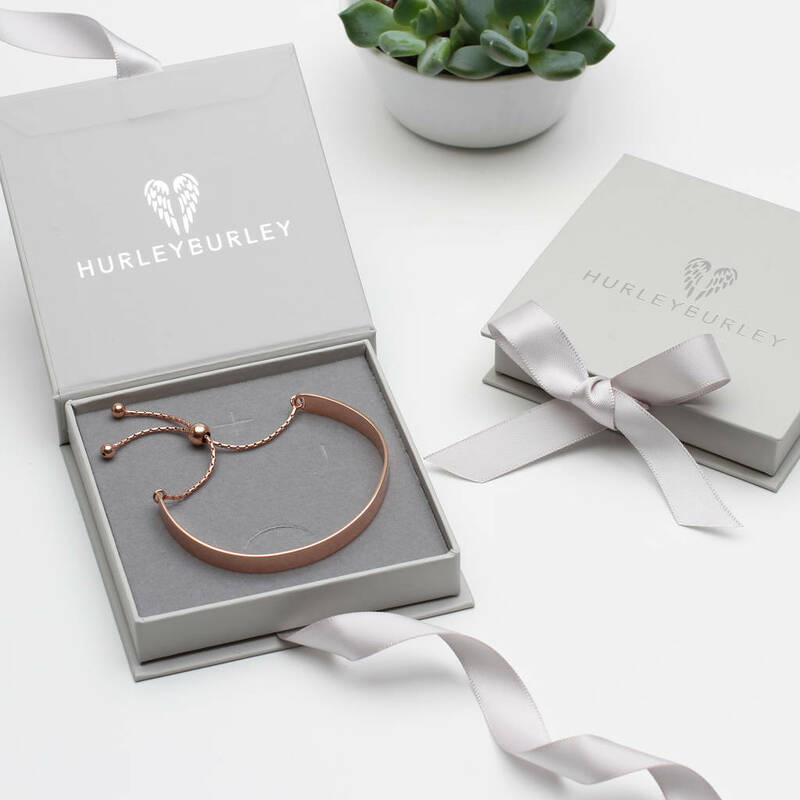 FREE GIFT BOX AND GIFT CARD - Your order will arrive beautifully wrapped in our branded gift box, with a genuine diamond card and a gift card if required.